With the help of our Chicagoland Princeton alumni, we have forged a Community Service relationship with Chicago Scholars to give local Princetonians the opportunity to help talented high school students across the city. Please join fellow Tigers for this wonderful and special opportunity to interview candidates for the newest class of Chicago Scholars! More than 2,100 academically talented, under-resourced, and first-generation college students from across Chicago have applied for the 675 spots available in the new class of Scholars. During the month of March, Chicago Scholars needs our help to complete the selection process by serving as Volunteer Interviewers. As volunteers, you will meet and interview students who have demonstrated their talent and leadership skills through academic excellence and active involvement within their high schools and community. No previous interview experience is necessary. Chicago Scholars will provide student profiles, interview questions, and interview guidelines in advance. The entire event lasts just over 2 hours (5 p.m. - 7:15 p.m.) and a light dinner is provided at 4:30 pm. 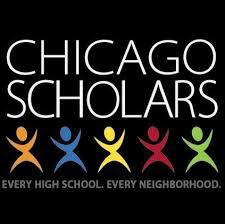 Orientation will begin promptly at 5 p.m.
Chicago Scholars is a non-profit transforming the leadership landscape of our city by resolving the fundamental barriers to success for academically driven, first generation college students from under-resourced communities. Through college counseling, mentoring, and by providing a supportive community to Scholars, we ensure that they realize their full potential as students and leaders. 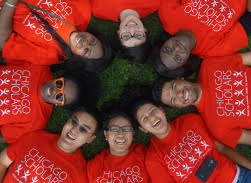 All Chicago Scholars receive extensive college counseling, which helps them successfully enroll in best match & fit colleges, and are supported through the college transition process by their mentors and staff. Some Chicago Scholars are attending or have graduated from Princeton. 88% of Chicago Scholars graduate college within 6 years. Per the University of Chicago Consortium on Chicago School Research, only 49% of their peers earn a degree within 6 years. Upon graduation, Scholars move into leadership positions across Chicago, helping to drive the economic future of their communities and our thriving city. Come volunteer with fellow Tigers, support Chicago Scholars, and meet some high-potential high school students! Questions? Contact Christine O'Neill '06 S05 at christine.marie.oneill@gmail.com.